This guide is designed to assist students enrolled in any class (Political Science, Economics, Geography, etc.) that requires research on the cultural, economics, history, politics, or religion of a specific country. The guide is organized into steps that cover the basic research process: identifying a topic, locating relevant sources, and citing sources used to write the paper. For general research assistance other than Country Studies view the links listed under Research Tools. Books and other Library materials can be searched using the Online Catalog. Books for Country Studies are categorized by country within sections D-DH (World history and history of Europe, Asia, Africa, etc.) and G-GT (Geography, Anthropology, Folklore, and Customs). There are two categories of books in the Library: general and reference. General books can be checked out and are often used for more in-depth research. Reference books do not circulate but can be useful for acquiring an overview on a topic. Reference books are located on the upper floor of the Library and circulating books are in the "Stacks" on the lower floor. Each title in the Country Studies Series presents a description and analysis of the historical setting and the social, economic, political, and national security systems and institutions of countries throughout the world and examines the interrelationships of those systems and the ways they are shaped by cultural factors. The information in this volume provides insight into the validity of dictatorship as a form of government, and the current status of dictatorships in the world. Varied expert opinions are presented from a wide range of highly respected and often hard-to-find sources and publications. Allows the reader to attain the higher-level critical thinking skills that are essential in a culture of diverse and contradictory opinions. 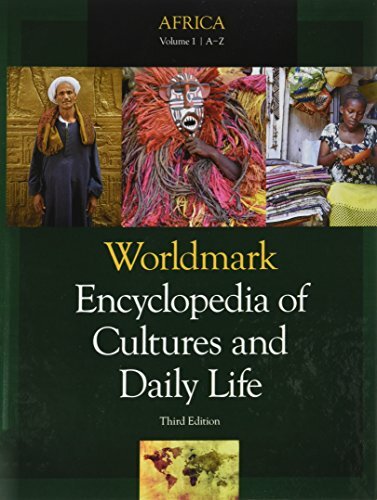 Encyclopedia of World Dress and Fashion is the first comprehensive reference work to explore all aspects of dress and fashion globally - from pre-history to the present day. This classic reference work presents a political, economic and social account of every country of the world together with facts and analysis. Published annually. The 4 volume set provides information on current religious practices around the world with an emphasis on how religions impact the daily lives of their followers. Volume 1, Religions of the World, contains 20-to-25-page entries on 13 major religions and 3-to-5 page entries on 28 religious subgroups. Volumes 2-4 focus on the significant religions in 195 countries. Arranged alphabetically by topic (Vol.1: Business & Management; Vol. 2: Economy), the set illustrates the breadth of each issue globally. Entries include primary source documents providing a deeper insight into the topic and sidebars that offer ancillary information to the entry. The World Today Series is an annually updated presentation of each sovereign country, past and present. It is broken down into individual chapters on each country dealing with its geography, people, history, political system, constitution, parliament, decentralization and states if a federation, parties, political leaders and elections. There are also sections on foreign and defense policy, economy, culture, future and a lengthy bibliography. The Library maintains a collection of instructor reserve materials. These consist of textbooks, videos, and supplemental course materials that instructors have put in the Library for student use. To find what materials are available for a specific class, search Course Reserves in the Online Catalog. It is best to search by "Course Number" (ex. POLS 101) in that an instructor other than yours may have placed an item on reserve. Materials can be requested at the Periodicals counter and generally must be used in the Library on a two-hour loan period. Photocopy machines are available for 10¢ a copy.